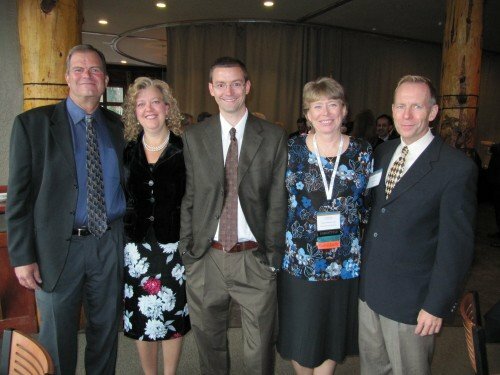 From left: Steve Tingley (State Farm), Cynthia Hotvedt (Medtronic), me, Judy Hubbard (Sandia National Laboratories), Vince Burks (Amika). Had a fun time at the President’s Dinner tonight at 7,910 feet. We took a gondola right up to the top of the mountain where they have a lodge for the dinner. Here is a picture of some of us before dinner. I’m coming home to California tomorrow!